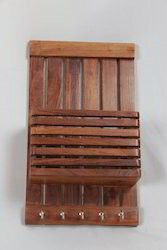 With rich industry experience, we are offer an innovative range of Teak Wood Big Gem Stone Key Hanger. In order to ensure unmatched quality, these are carved out from superior quality wood using latest machine. These are widely placed in home, offices, etc. and are an ideal gift item. Available in a range of unique designs, finishes and sizes in accordance with the details provided by the clients, these statues can be availed from us at market leading prices. 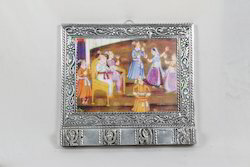 Our organization is engaged in offering a wide range of beautiful Oxidized Key Hanger With Painting. These key hangers are used for hanging various essential household objects apart from keys. 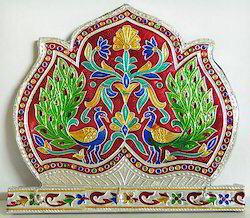 Carved out of wood, these decorative key hangers are appreciated due to the traditional art work found on their surface. 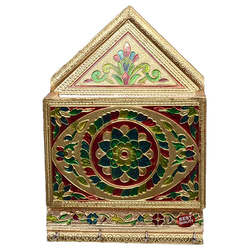 We are one of leading manufacturers and exporters of a mesmerizing range of Meenakari Key Hanger that is creatively designed using high quality basic material. We Rela international a leading manufacturer and supplier of White metal key hanger. 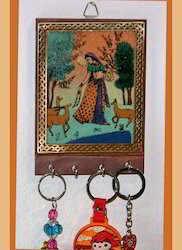 These key hangers are available in different color and designs according to customer demands. Looking for Key Hangers ?